Karangasem Royal Palace (Taman Ujung) is a tourist destination which is a palace inherited from the kingdom of Karangasem which in ancient times by King Karangasem, this Palace was built as a place to entertain and entertain the guests of the kingdom of Karangasem. This king's palace combines traditional Balinese and European architecture. 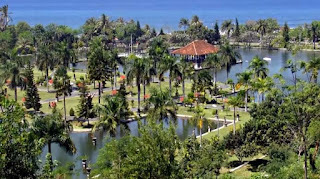 This Taman Ujung complex has 3 large pools connected by bridges. 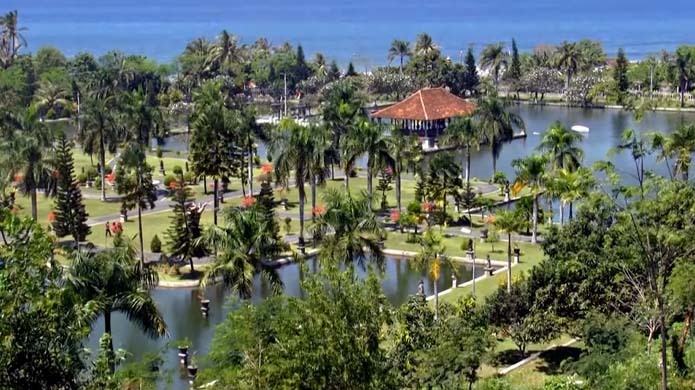 Historically, this park palace was built in 1919 by the last king of Karangasem named I Gusti Bagus Jelantik who held the title Anak Agung Anglurah Ketut Karangasem, who ruled from 1909 - 1945. From the top of this palace, spectacular views can be enjoyed like the blue ocean, the uniqueness of the architecture and the exotic panorama around it. So that this place is visited by many tourists and also as a valuable moment to make pre wedding photos.